Tammy has been leading EHS’ B2B marketing since 2007. She leverages her career experience through coordinating and supervising internal and external professionals in the development and implementation of marketing and other business development programs and initiatives. She is an experienced marketing professional and account manager, having worked for both Fortune 500 companies and boutique professional services firms. 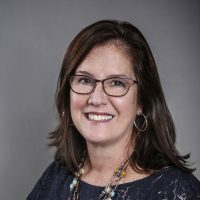 Before Tammy joined EHS, Tammy spent ten years in Account Management for a major international advertising agency, as well as serving as Director of Marketing for an international technology consulting firm. Tammy is an active volunteer in her community. She has been an elected member of the Randolph Township Board of Education since 2009. Tammy earned her B.A. from Mt. Holyoke College.